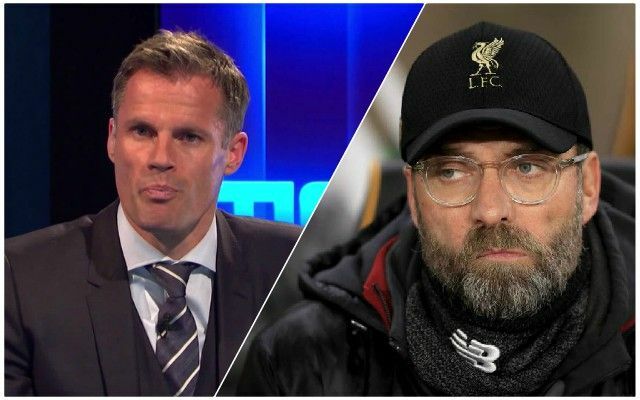 Jamie Carragher insists it is too early to be considering where the Premier League trophy will be heading at the end of the season. The title race took a typically surprise turn in mid-week as Manchester City suffered a shock 2-1 defeat away to Newcastle on Tuesday. Liverpool, however, failed to capitalise on their rivals’ slip-up to full effect as they were held to a 1-1 draw at home to Leicester the following day. It means Jurgen Klopp’s men are five points ahead of the reigning champions, who play Arsenal on Sunday ahead of the Reds’ meeting with West Ham on Monday. Champions League commitments for both sides and City’s involvement in the League Cup final and the FA Cup could yet prove key factors in terms of team selection and squad fitness. A number of Liverpool’s current starters are entering unfamiliar territory, making their composure and focus just as important as their quality with the ball at their feet. It will come down to who can keep their calm and avoid letting the enormity of the task ahead impact their approach.